Electricity is no longer considered a luxury. It is a necessity and the central government has geared up for betterment of the lives of the people living in the urban as well as the rural areas. 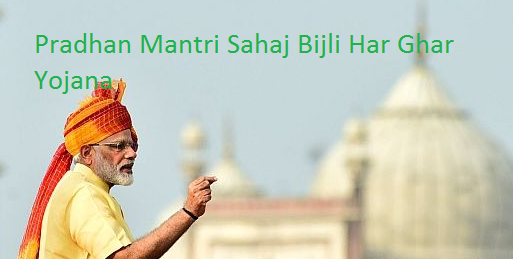 Recently, the central government has introduced a scheme under the name Pradhan Mantri Sahaj Bijli Har Ghar Yojana. The main aim of the program is to provide electricity to the people, mainly living in the villages. When the scheme will be implemented, it will give access to 24X7 powers in all homes. The announcement of the scheme was made by the Prime Minister of the country, Narendra Modi. The declaration was made on the 25 Sep, 17. The announcement was made while the entire country was celebrating the birth anniversary of Pandit Deendayal Upadhyay. The scheme will be rolled out during December, 2017. It is estimated that the implementation will take place within the next 3 to 4 months. Serving the needs of rural people – Though it is mentioned that the scheme will benefit the people living both in the rural and in the urban areas, for the time being, the central government is focusing on providing electricity to each family in the villages. Showing the effects – As the main task of implementation will only start from the mid-2018, the program can only be evaluated by the end of 2019. The central and the state governments are trying their best to solve the legislative issues. Rules regarding power consumption – As the aim of the central government are to provide power connection to as many homes as possible; it will set some stringent regulations. These will be associated with the process of purchasing power from the central power plants. Introduction of wind and solar power – Apart from the traditional methods of power production, the government will also introduce production of solar and wind power. The government was of the opinion that the high rates of these two sources of power will make them non-profitable. But people are interested in consumption of clean energy. Bidding for power – The central government, under the scheme has announced that all bidding for power will be closely monitored. The bidding procedure will be initiated from December, 2017 and it will start at 20,000 MW both for wind and solar generated electricity. Clean power production – Apart from the above mentioned points, the central government will also put stress on the production of clean electricity. By this, all thermal power plants will be maintained and the power production will be balanced. Enhancing the effects of Digital India – The implementation of the scheme is done for spreading the reach of the Digital India movement. When electricity will reach the rural areas, the other components of Digital India movement will be implemented. Discounts and subsidy – To make the scheme viable for the people belonging to the economically weaker sections, the central government will also provided discounts and subsidy. This will be given on the transformers and meters. Discount will also be given on the wires that are required for providing the connection. As the scheme has been launched recently, the details regarding eligibility and registration has not been highlighted. As the scheme is developed, the central government will make the necessary announcements. But it can be deduced that only those people who live in the rural areas and do not have access to electricity will be able to apply for acquiring the benefits of the scheme. The scheme has been developed, for the betterment of poor. So, people falling under the BPL and other backward groups will be given preference. As for the document, it is expected to be same as any other scheme where, the residential and identification details, Aadhar Card, income certificate and other associated papers will be required during the registration process. With the implementation of the scheme, the central government will be able to provide the people who still do not have access to electricity will be able to get power connection with ease.